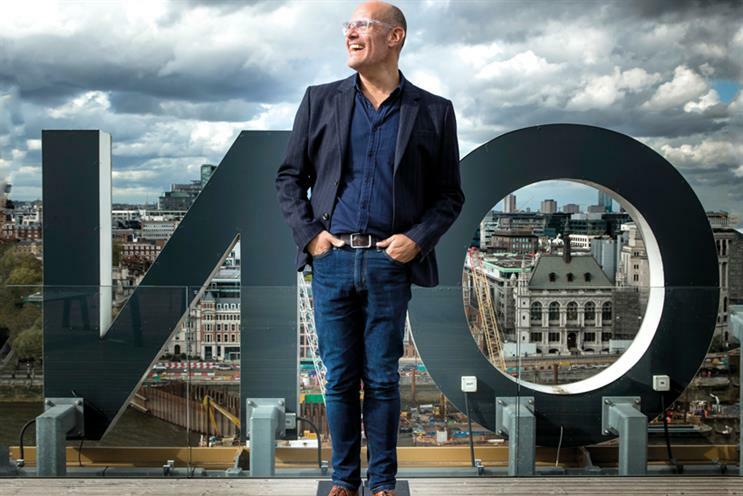 Ogilvy UK's chief executive, Michael Frohlich, may not be universally popular, but his PR background could stand him in good stead amid the agency group's move to a single brand. Rudd will be responsible for the "total client experience" across Ogilvy UK. He will lead client relationships. The "steward of the creation, development and success of an integrated strategic approach – integrating brand and engagement planning, influence, strategy and research". Responsible for putting integrated creative ideas into production. Lawson is responsible for "transforming the client operations and capabilities required for the new model agency. From how it works internally to deliver for clients, building tailored operating models to work with clients, WPP partners and beyond, and driving new specialisms in key growth areas." Higgins will lead a team of consultants and specialists from across Ogilvy and WPP to shape Ogilvy’s clients’ agenda in digital transformation, innovation and business design. Michael Frohlich, chief executive of Ogilvy UK, is most definitely not an adman. But, my god, he’s a good PR man. An ability to spot my carefully laid traps, to say something without saying much at all and to turn what initially started out as a slightly testy encounter into a charm offensive, suggests this man knows what he’s doing. That said, Frohlich hasn’t made himself terribly popular in some quarters of the advertising industry (although that’s just one area that the "new" Ogilvy, comprising Ogilvy & Mather, OgilvyOne and Ogilvy PR, will encompass) – hence the initial testiness. By putting the entire leadership team on consultation ahead of picking his top team (announced last week), noses were put out of joint and Jo Coombs, OgilvyOne’s popular chief executive, left. Frohlich suggests that her departure won’t be the only one as his leadership team shrinks from the previous 25 "heads of office" to just 10. In fairness to Frohlich, his strategy was probably the only legal route he could have taken, rather than giving his chosen few a nod and a wink, but egos have been dented. This is advertising, after all. Frohlich has been in his role since February, attempting to implement the transition to a single agency brand, a change initiated by Ogilvy’s worldwide chief executive and chairman, John Seifert, last year. Frohlich’s predecessor, Annette King, who is believed to have resisted some of the changes, took a job at Publicis, which, with some irony, is going through its own transition to deliver on its "Power of One" positioning. While the industry has focused on the names and the personalities involved, there does appear to be a rationale to the reorganisation – not least in the context of a post-Sorrell WPP. "Moving to a new model, there has to be a new leadership team and this isn’t about new faces, but new roles [see box, page 32]. What we needed was a period of time for people to understand their change in role, now that we’re asking them to do something different. I knew that people would stay and that people would leave," he adds. The model that Seifert has mapped out is one of Ogilvy as a one-stop shop responding to clients’ changing needs. "They [clients] are up against balancing short-term tactical delivery of revenue with delivering long-term brand and shareholder value. Also, things that can happen over night – things can knock them off course [such as] hostile investors, the gender pay gap – that can shake a business. And from a UK perspective, there is Brexit uncertainty. So our clients’ worlds are changing with it. We have to be more agile as and when they need it." It’s all very pat stuff – just what you’d expect from an accomplished PR professional. But, in truth, do clients really care as much about › agency brand names as those who work within them? Surely they just want the right solutions, quickly, and preferably cheaply, rather than agency nostalgia, something echoed by WPP joint chief operating officer Mark Read. From a business perspective, at least, it all seems to make sense – a single P&L, a single access point that means that clients don’t have to attempt to navigate Ogilvy’s internal silos, and horizontality played out at an agency level. But to critics, it just doesn’t sound particularly creatively inspiring. So, then, time to deploy a trap and find out Frohlich’s favourite campaign from the agency. After a slight, tantalising pause that might just suggest he doesn’t have the faintest clue about any of the creative output emerging from Sea Containers House, he replies. "The Greenpeace work [‘Ocean of the Future’ from Ogilvy & Mather] that broke recently. Also, I’m very proud of the Boots Christmas campaign." While not completely hoist by our own petard, that bomblet failed to go off. Frohlich has been well briefed – or done his research. A further attempt to trip him up by asking whether he knew how OgilvyOne and Ogilvy & Mather had performed in the Campaign School Reports is also thwarted; he’s carrying a copy of that issue of the magazine with him. "We’ve had a good couple of years," Frohlich says. Indeed, both Ogilvy & Mather and OgilvyOne were shortlisted for Campaign’s 2017 Agency of the Year on the back of a flurry of account wins. Again, Frohlich’s response is just what you’d expect from a top-level PR man whose career spans Shine Communications, Resonate, which he founded and subsequently became the consumer division of Bell Pottinger, Chime Communications and Ogilvy PR. He joined the latter in 2012 and ran the UK and EMEA region. Moreover, while his closeness to the work might not match those of other agency chief executives (and certainly not that of his predecessor), that’s not really his job. It’s why he has a host of creative talent on the leadership team. "If you ask me what creativity means in the future, well, at the moment I’m really focused on the inside. That’s the difference between transition and transformation – this is a three- to five-year job," Frohlich says. With the leadership in place, the rest of the 1,200 people in the group will begin to find out what their roles will be in the new, silo-free integrated group. People who have worked with Frohlich testify to his energy and positivity. It’s certainly true that if he has any doubts about the wisdom of Seifert’s vision (one insider describes it as "an intellectualised solution without an executable plan"), he doesn’t show it. He’s also considered to be good with clients – he led Ogilvy’s successful pitch for the integrated British Airways account last year. As a case study for the solution Ogilvy hopes to offer to all clients, it’s not a bad one, assuming more of these bundled pitches come along. Key to Frohlich’s success will be keeping the specialisms alive within the group, so that it can convince clients that it can still take part in pure-play advertising or CRM pitches as well as bundled ones. He will also need to manage the conflicting egos and interests of its component parts (not least within creative) and keep his paymasters happy by meeting growth targets. So, all in all, it is a political and reputational role that will need to balance leadership with trusting people to get on with their jobs. The Chartered Institute of Public Relations describes its discipline thus: "Public relations is the discipline which looks after reputation, with the aim of earning understanding and support and influencing opinion and behaviour. It is the planned and sustained effort to establish and maintain goodwill and mutual understanding between an organisation and its publics." So maybe putting a PR person in charge wasn’t such a bad move after all.